Celebrating Chinese New Year in a Shanxi Mountain Village | WWAM Bam! 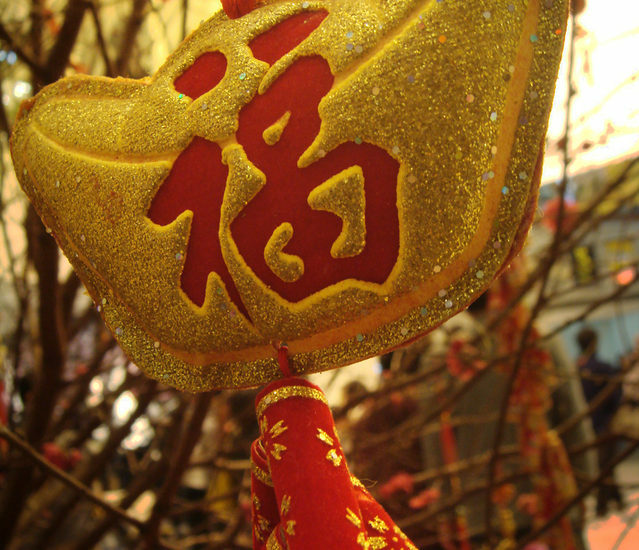 Celebrating Chinese New Year is a little like celebrating Christmas, if you swapped any religious connotations for a whole lot more family expectations. Plus, it goes for a lot longer – at least a few days or a week, to two weeks. In China, it starts with the requirement in most families that you return to your family home to celebrate the new year together – no matter what. A few years ago when massive snowstorms disrupted transport in the south of China right before Chinese new year, people waited outside train stations in the freezing cold because they had to get on the next available train to their hometowns. Not to mention the family pressure once you get home. Chinese New Year 2005 was the first time I met my then-(now ex-)boyfriend’s family. It was also the first time I celebrated Chinese New Year with a Chinese family. We rose at the crack of dawn in Beijing to take a long distance bus, transfer to an intercity bus, then a local bus to then be met by his brother at the bus station with a car. This final part of the journey was a winding, dirt road up in the mountains of Shanxi province where buses would never make it. The village was simple and beautiful – small homes with oval-shaped roofs, perched on the side of a mountain. It was lightly covered in snow when we arrived, giving everything that wonderful clean, bright feeling that snow is so good at. That was quickly shattered when I saw the outdoor “bathroom” in front of the entrance to the courtyard home his mother shared with a few other families. A small wall of rocks about the height of a short person’s waist was the only thing standing between us, and my future self with bare arse squatting over the open hole in the ground. Conveniently, the main dirt road in and out of the village was within waving distance so you could watch the passing cars and motorbikes lest you get bored. I’ll never forget the welcome (or lack of) we received when we entered his mother’s home – he hadn’t been back to visit for a year, and they had gathered the family together to meet us. But on entering the main room of their home, there were no hugs or loud excited welcomes, it felt like we had just walked back inside from having been outside a moment. While I have since learned that Chinese families are great at showing their warmth in other ways, the families I have had the pleasure of meeting so far all seem to show a distinct lack of emotion in similar situations compared with what I’d come to expect in Australia. My boyfriend was the youngest of three boys and two girls, and all his siblings were married. I quickly learned that each person was called by their position in the family such as “Oldest Brother”, “Second Oldest Sister”, “Oldest Sister’s Husband” and it seemed much easier to memorise than actual names. I soon realised that it was very difficult for me to have a conversation in Chinese with most of the older family members since they spoke the local dialect (in Shanxi province, each town or city has a slightly different dialect, some of which sound vaguely like Mandarin Chinese if you really concentrate). It was easier with the younger ones, since they had learned standard Chinese and some English at school. We passed the new year in traditional manner, making jiaozi (dumplings) to eat just after midnight, watching the Chinese New Year Gala on tv together and generally eating way too much. The following days were spent visiting other family and friends and being welcomed warmly everywhere I went. But I’m slightly embarrassed to admit that, after all these years, my strongest memory is of washing my long hair in a bucket in the main room of his mother’s house while the whole family sat on the kang (raised bed connected to the fire-powered stove, which serves as the heated seating area during the day) and watched me struggle. I will definitely always remember my first time celebrating Chinese New Year.